Due to huge cost overruns in two projects in Georgia and South Carolina, Westinghouse, the US nuclear division of Toshiba, has filed for bankruptcy protection. The losses have negatively affected the Japanese parent company, Toshiba putting the future of the conglomerate at risk. Toshiba announced that the bankruptcy will not harm Westinghouse, UK, which has over 1,000 employees on its payroll. The financial loss of its US nuclear business could impact Toshiba itself in a catastrophic way, with the years losses surpassing even $1 trillion yen ($9 billion), which is close to three times the previous estimate. The Japanese government has been informed by Toshiba about its move to declare Westinghouse bankrupt. 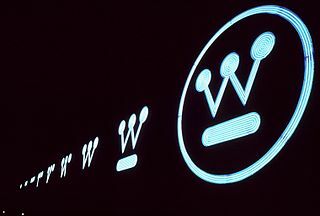 In December 2016 Toshiba informed its investors that there were large losses connected with a deal made by Westinghouse. Assets that the company took on are expected to be worth less than initially thought, plus there is a dispute about payments that are due. As a result, Toshiba at first hoped to simply sell its majority stake in Westinghouse. Toshiba also received permission to delay reporting earnings twice, and now is expected to declare earnings on April 11. The company’s nuclear arm is the source of about 33 percent of the company’s revenue. ← Saffron Coming to the USA?